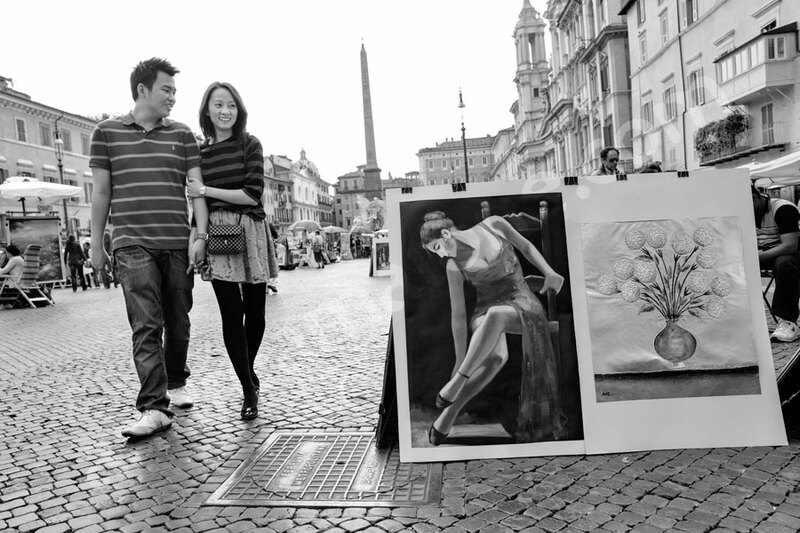 A joyful afternoon playing around with the city of Rome in pictures. Running around discovering new scenes and having fun with photography. Enjoying the company of one another while dancing underneath porticoes and in between ancient columns. 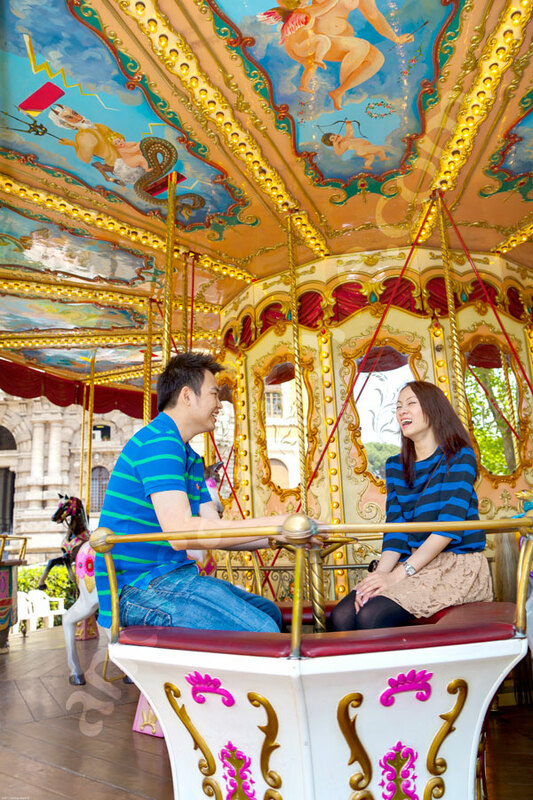 Taking great images in Saint Peter’s square and playing with an classic carousel near Castel Sant’Angelo. Like in an Amy Gee advertisement from London New York Tokyo photographed in Rome like life in black and white. Whispering laughing waving or just hanging out in beautiful views pointing like they do in postcards or in wonderful paintings. 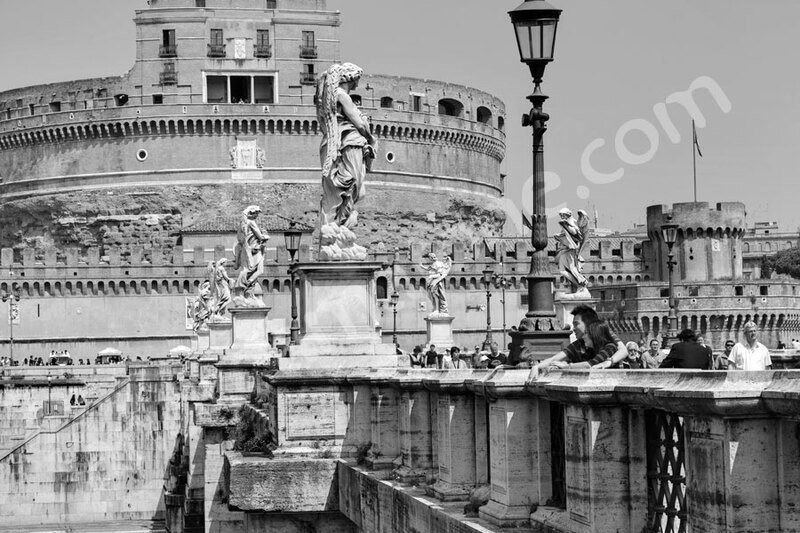 Like the ones found in Piazza Navona among thousands of tourists and marks and writing on a wall. 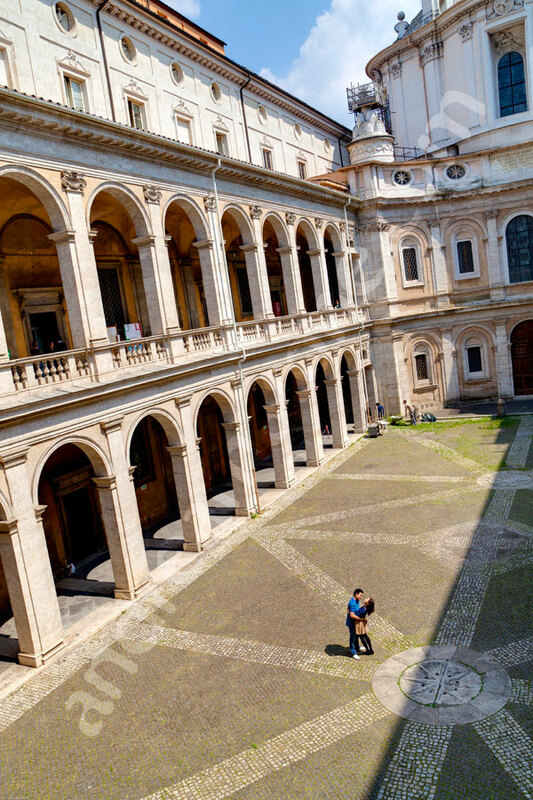 Fantastic smiles coming to life in pictures as we walk back underneath the portico of San Ivo alla Sapienza seen also from above as if it was in black and white. 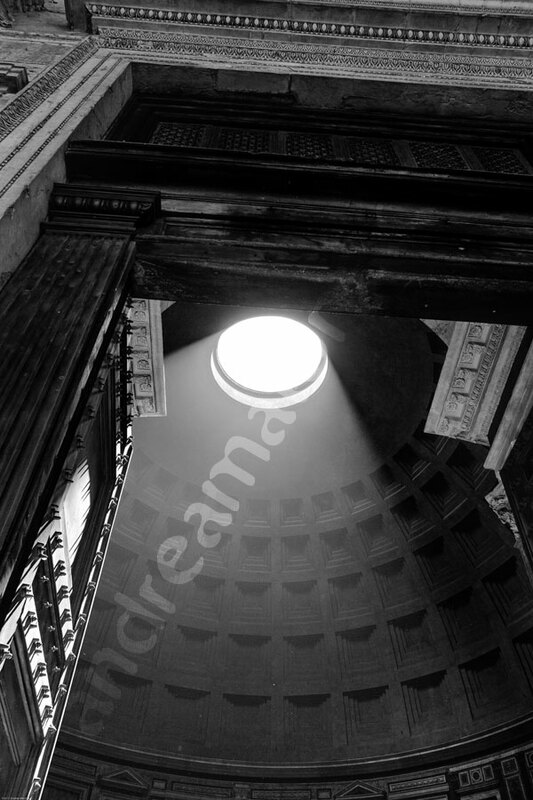 The light shining in from the hole in the dome of the Roman Pantheon is a majestic explosion of high key luminescence which overexposes everything and illuminates love as chanel would want. Not sitting down in front of the roman coliseum but lifted up to the sky. 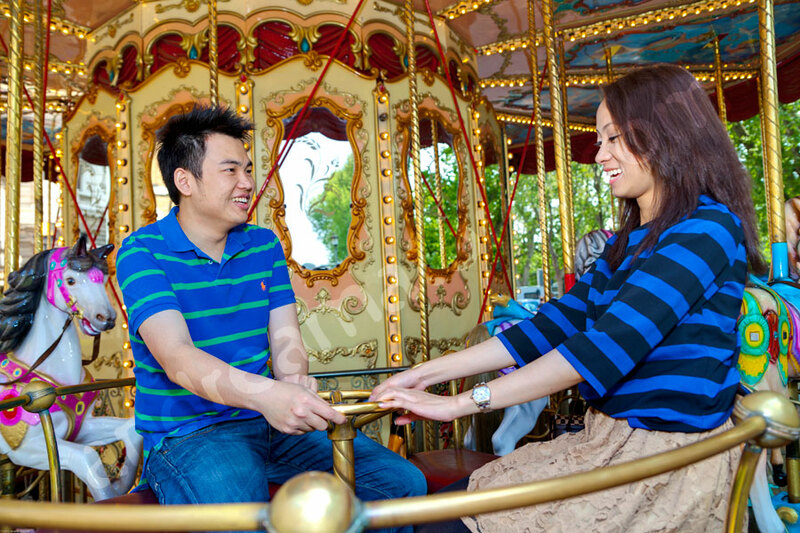 Young Asian couple just engaged in Rome. 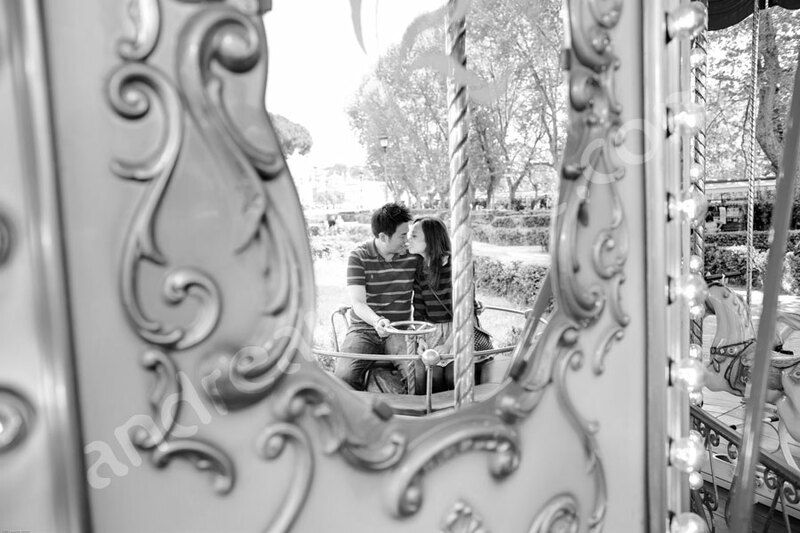 An engagement photo session of them walking around the city and having fun as they visit and celebrate.